Our daughter has been bringing home a bunch of number bonds worksheets from school. Her first grade class has been hitting the addition facts pretty hard and she's understanding the material pretty well. That doesn't mean a guy can't make some more worksheets for her to do though, right? 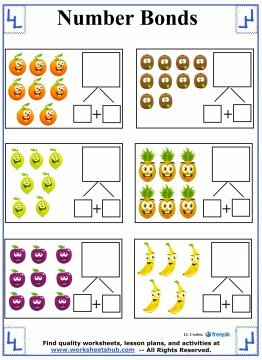 The activity sheets below will introduce number bonds from 5 to 15. 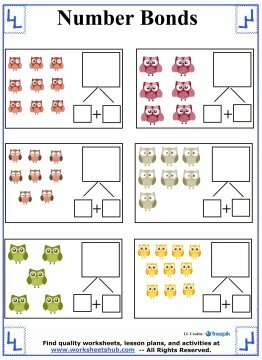 If you have a 1st Grade student, you probably already know how to use the worksheets. If not, I've included directions below. Click an image to open a PDF file in another tab. Then you can print and/or download. 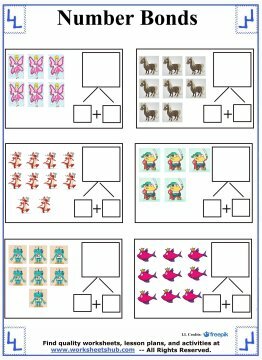 Using the worksheets is simple. You'll see six boxes on each page. In each box is set of pictures. 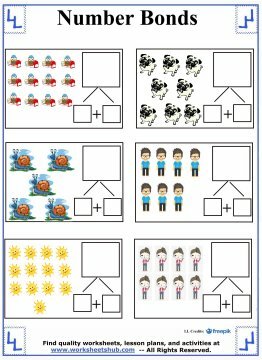 Have your student circle a few of the pictures. Count how many were circled and write it in the first small box on the right. Next, count the number of items not circled and write it in the second small box. Finally, count all of the pictures and write it in the large box at the top. This will complete the number bond and give you an addition fact such as the one shown: 3 + 7 = 10. 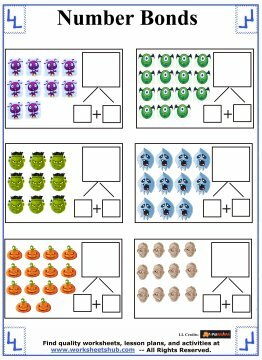 The nice thing about these worksheets is that you can use them multiple times to create different bonds. 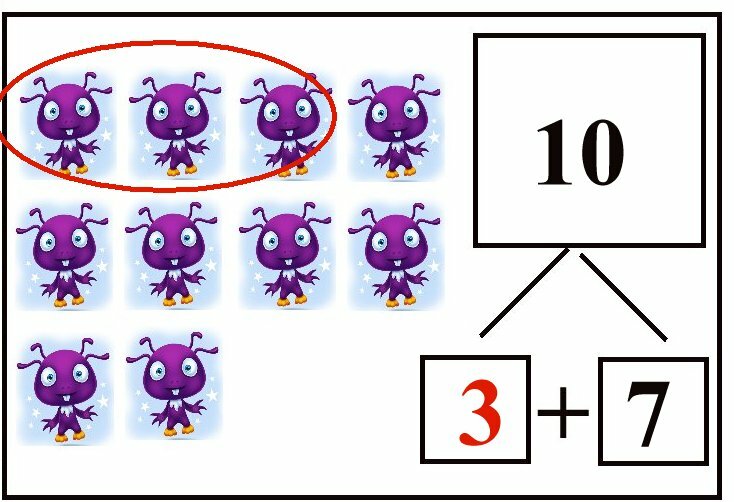 In the example shown, the student circled three items giving us 3 + 7. But, your child may circle 4 items or 8, or any other possible combination to cover all of the number bonds for ten. 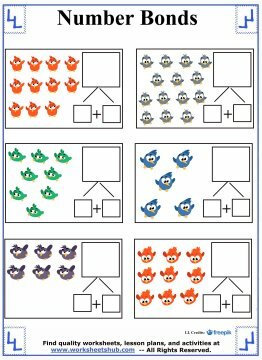 For more help with numbers and addition, check out the links below.